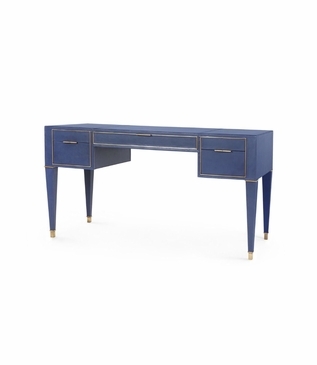 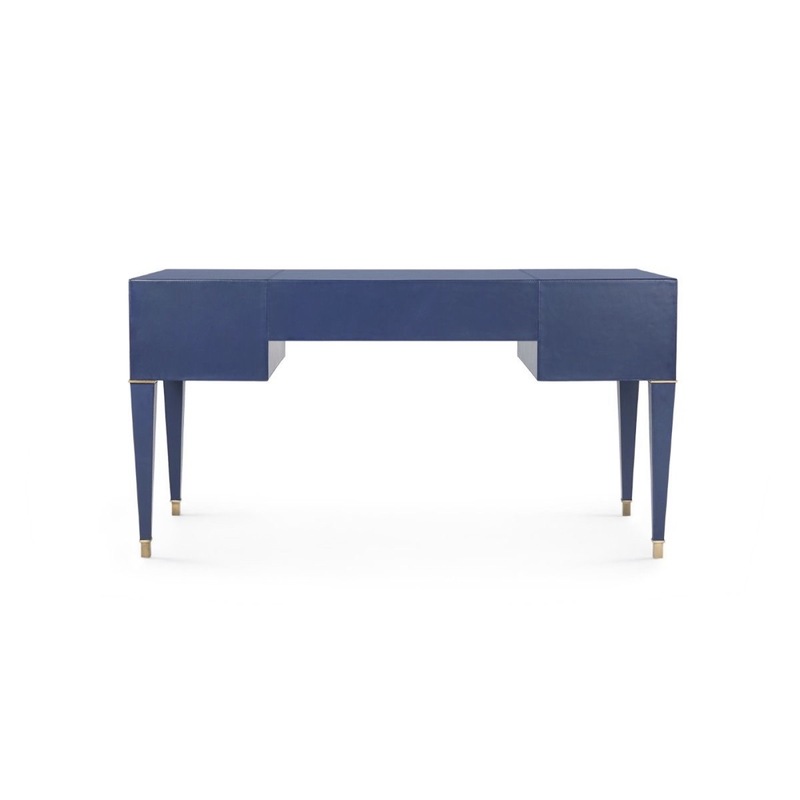 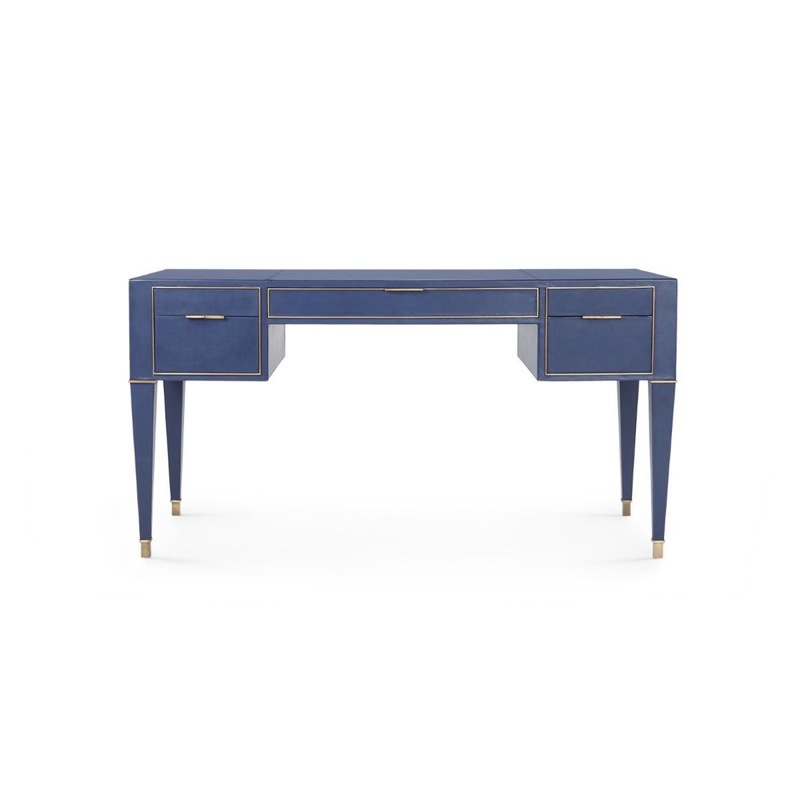 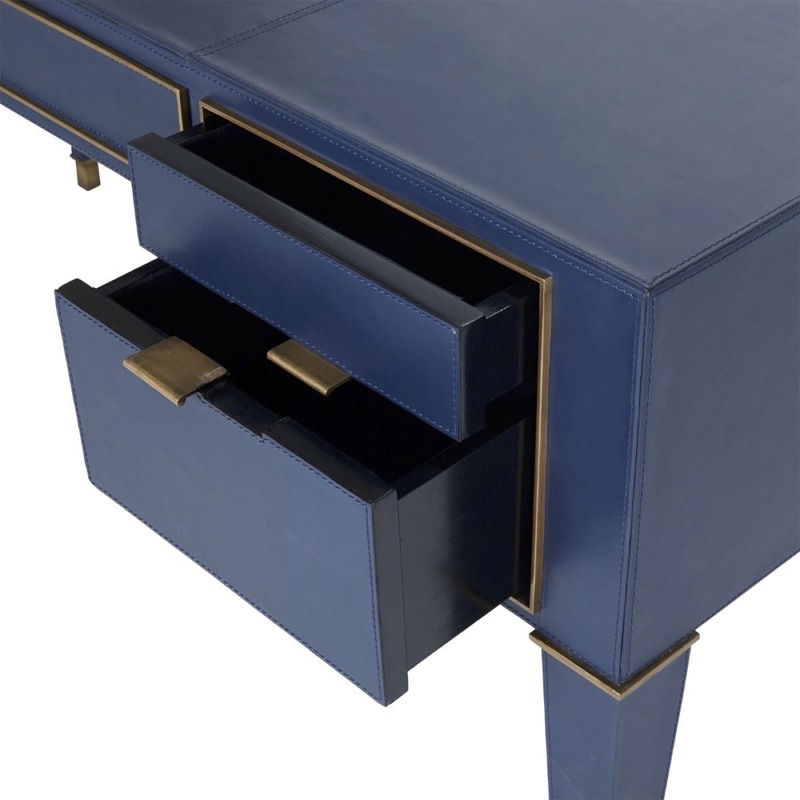 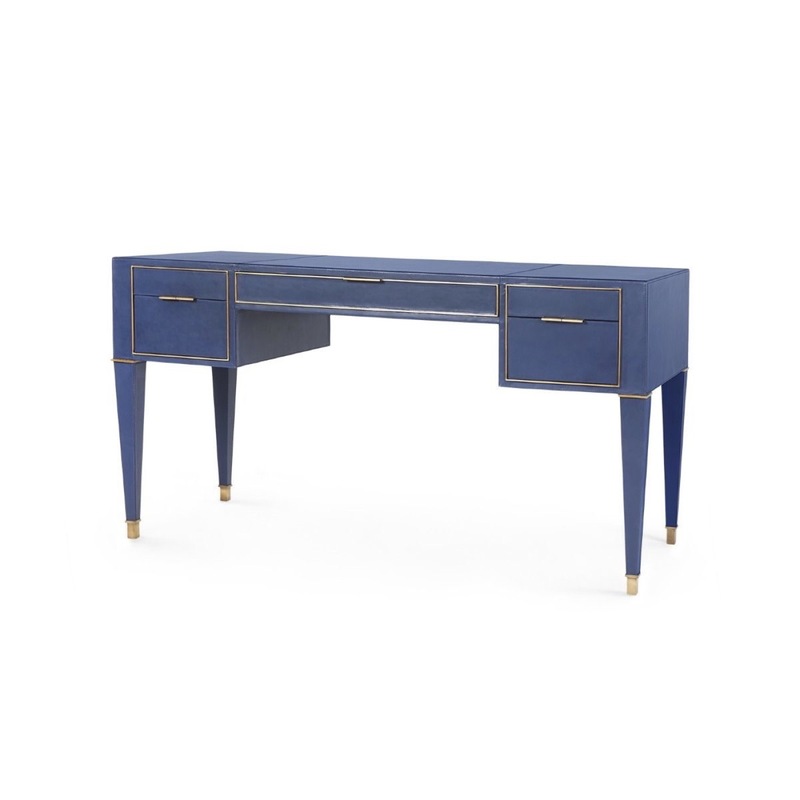 Inspired from a neo-classical design, this desk is crafted of fine dark blue leather and features beautiful stitching detail and antiqued brass fixtures and hardware. 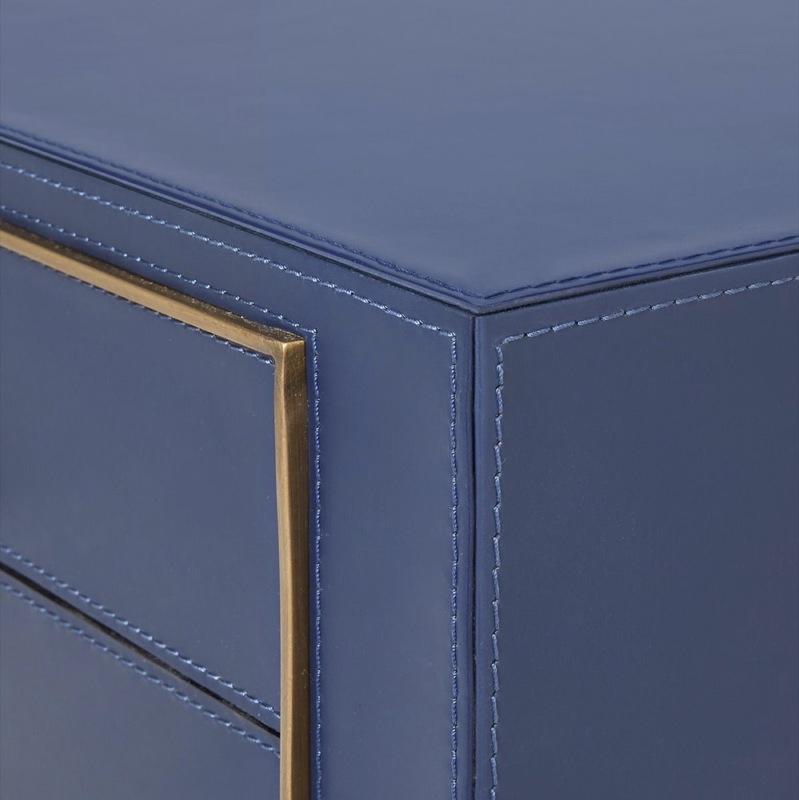 The five drawers offer ample storage with soft-closing glides and luxe microsuede interiors. 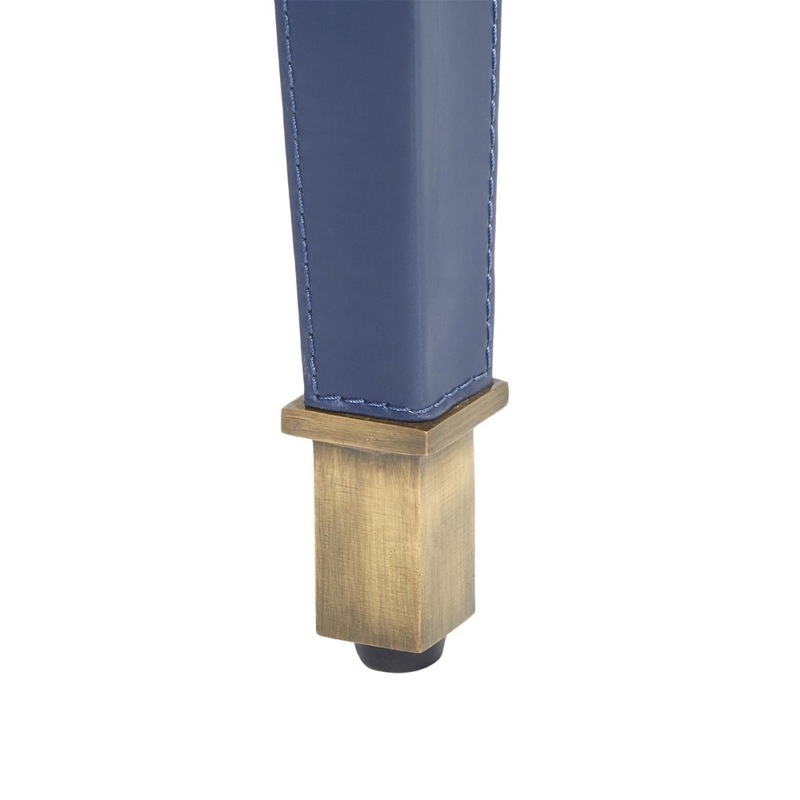 Size: H: 31.5" • L: 59.5" • W: 25"